In some coalbeds, naturally occurring water pressure holds methane—the main component of natural gas—fixed to coal surfaces and within the coal. In a coalbed methane (CBM) well, pumping water from the coalbeds lowers this pressure, facilitating the release of methane from the coal for extraction and use as an energy source. Water pumped from coalbeds during this process—CBM "produced water"—is managed through some combination of treatment, disposal, storage, or use, subject to compliance with federal and state regulations. CBM produced water management can be challenging for regulatory agencies, CBM well operators, water treatment companies, policy makers, landowners, and the public because of differences in the quality and quantity of produced water; available infrastructure; costs to treat, store, and transport produced water; and states' legal consideration of water and produced water. Some states consider produced water as waste, whereas others consider it a beneficial byproduct of methane production. Thus, although current technologies allow CBM produced water to be treated to any desired water quality, the majority of CBM produced water is presently being disposed of at least cost rather than put to beneficial use. The Energy Policy Act of 2005 (P.L. 109-58, Section 1811) noted the relevance of CBM produced water and directed the Bureau of Land Management (BLM) to enter into an agreement with the National Research Council (NRC) to evaluate CBM produced water management in six western states. The NRC established the Committee on Management and Effects of Coalbed Methane Development and Produced Water in the Western United States to develop this report, which addresses the study charge (Box S.1). • challenges in the existing regulatory framework for CBM produced water management. (1) Briefly review existing and ongoing studies by federal agencies related to CBM produced water effects and management including water treatment, use, storage, and disposal; environmental (natural and human) effects; and water quality and quantity. (2) Identify the major federal and state data resources available for CBM produced water management including those available for topics in (1), above, and identify the major factors influencing CBM produced water chemistry and potential toxicity; the baseline data necessary for effective management of CBM produced water; data gaps, if any, and any additional need for data. (3) Identify the major positive and negative effects of CBM produced water treatment, use, storage, and disposal on the quality and quantity of surface and ground water resources, including environmental effects documented by public and private stakeholders. (4) Review existing federal and state regulations that address the management and potential effects of CBM produced water on surface and ground water resources. (5) Evaluate the effectiveness of current and emerging best management practices and production techniques for CBM produced water management options in terms of the minimization of potential negative impacts to water resources. (6) Discuss the costs for produced water management options, including existing and emerging techniques used in water treatment, use, storage, and disposal. When evaluating the effects of CBM development on water resources, relevant geological, geochemi-cal, hydrological, ecological, environmental, social, and health factors, water rights issues, and historical and projected CBM production volumes will be considered. national consensus has been reached on clearly defined goals, objectives, management positions, or policies that take into account potential environmental effects of CBM produced water and allow for consideration of a range of potential beneficial use options. Resolving these gaps could increase the ability of public and private stakeholders to develop effective and environmentally and economically sound CBM development and produced water management strategies and practices. Quality and quantity of CBM produced water, determined largely by the natural geologic and hydrologic characteristics of each CBM basin, are among the primary factors determining produced water management strategies and potential and actual effects of produced water on the environment. The degree of connectivity ("hydraulic connectivity") among water-bearing coalbeds which are the targets of CBM production, overlying and underlying aquifers, other shallow groundwater aquifers, and surface water is also important. Hydraulic connectivity affects how water in coalbeds and surrounding sedimentary rocks moves and replenishes through time and has consequences for the effects of produced water withdrawals. Water that has not been replenished for a long time—from human lifetimes to millions of years—is termed "old" or "fossil" water and can be considered a nonrenewable resource. The coalbeds used for CBM in the Powder River Basin of Wyoming and Montana are generally more porous and permeable and yield relatively fresher produced waters1 than the more deeply buried, methane-bearing coalbeds in the CBM basins of New Mexico, Colorado, and Utah. The high porosity and permeability in Powder River coalbeds also require larger volumes of water to be withdrawn by the CBM well operator to stimulate methane release from the coal, compared to the other western CBM basins. Large volumes of relatively fresh CBM produced water from the Powder River Basin are then primarily managed through discharge to surface storage impoundments or to ephemeral and perennial streams and rivers, with or without treatment to meet regulatory requirements. A limited amount of produced water is put to beneficial use. In contrast, smaller volumes of generally very saline CBM produced waters from basins in New Mexico, Colorado, and Utah are primarily managed through disposal by deep-well reinjection. 1In discussing the chemistry of CBM produced water, the committee sometimes uses the qualifying word "relatively" to denote differences in the total dissolved solids (TDS), salinities, and sodicities of CBM produced waters as they vary across the western basins. For example, CBM produced water from the Powder River Basin is sometimes described as "relatively fresh," whereas CBM produced water from the San Juan Basin may be described as having "relatively high salinity." The report provides the background for the use of these terms. CBM production targets, other groundwater aquifers, and surface waters. These types of data have been collected and analyzed from the San Juan Basin and show that CBM produced water from this basin is fossil water. Similarly comprehensive data to determine whether or not the CBM produced water from other western CBM basins is fossil water have not been collected. Lack of knowledge of the age of CBM produced water contributes to uncertainty in understanding the consequences of long-term produced water withdrawals to other aquifers. At present, the "age" of CBM produced water and consideration of fossil CBM produced water as a nonrenewable resource are not currently factored into decisions about produced water management strategies. Determining the age of CBM produced water and therefore its "renewability" should be included in the development and implementation of CBM produced water management regulations. Groundwater modeling can also be used to characterize some aspects of groundwater resources, including hydraulic connectivity. However, these models are not able to incorporate the full range of natural complexities in CBM basins. A combination of sensitivity analysis, history matching, and multiple lines of calibration is needed to quantify the level of uncertainty of model predictions and to provide a level of reliability for the model results. The uncertainties in groundwater modeling results should be explicitly recognized when the results are used to make produced water management and regulatory decisions. In addition to produced water quality and quantity, other determinants that weigh into the decision of whether CBM produced water is treated, disposed, stored, or put to beneficial use include: (1) quality and reliability of sustained produced water supply over time; (2) treatment costs; (3) proximity of location of produced water to the proposed beneficial use (such as irrigation); (4) costs and infrastructure for water transport and storage; (5) degree of compatibility between produced water quality and potential receiving landscapes or water bodies; (6) availability of suitable storage and disposal sites; and (7) the legal framework for application of produced water to beneficial uses. Several treatment technologies with extensive performance history have proven effective in the western CBM basins. However, in nearly all cases where CBM produced water is treated, the degree of water treatment is driven by regulatory requirements for disposal or permitted discharge rather than for the purpose of achieving quality for beneficial use. Options for disposal and storage include deep-well reinjection, storage in lined or un-lined surface impoundments for evaporation or for percolation into underlying soil, direct discharge to ephemeral or perennial surface waters, and land-applied water spreading and managed surface irrigation. Potential beneficial use applications for CBM produced water include livestock and wildlife watering, subsurface drip irrigation, instream flow augmentation, wetlands augmentation, and industrial and municipal uses. In concept and on paper, putting CBM produced water to beneficial use would thus seem to be a desirable and relatively easy objective. In reality, management or discharge of CBM produced water for the specific purpose of achieving beneficial use is potentially economically and environmentally burdensome, complex, and challenging. The production, handling, management, and disposal of produced water all contribute to the cost of production of methane from coalbeds, and CBM produced water rarely, if ever, constitutes an income stream for energy producers. Even where CBM produced water is intentionally put to beneficial use, the cost of implementation of such use almost universally exceeds any realized economic gain in the current regulatory and economic climate. These factors have contributed to a varied range of treatment, disposal, and storage options being employed in the western CBM basins, and within the same basin in different states, with only a small proportion of the produced water being put to beneficial use. Concerns about environmental effects associated with CBM production and produced water management relate primarily to short- and long-term consequences of (1) ground-water depletion and drawdown associated with water pumping during CBM extraction, and (2) the disposal, storage, management, and permitted discharge of produced water, which may affect groundwater and surface water quantity and quality, soil and agricultural development, and ecological systems. The extent of groundwater drawdown in the coalbeds from which CBM has been extracted depends on the overall volume of water in the coalbed and hydrogeology of the basin, the density of CBM wells, the rate of water pumping by the operator, the rate of recharge of the coalbeds from surrounding sediments and coals, and the length of time pumping takes place. The time for the CBM-bearing aquifer to return to its original water pressure or level depends upon the extent of drawdown and the volume of water pumped, porosity and permeability of and depth to the coalbed, climatic and seasonal conditions, and connectivity to sources of water recharge. in the Powder River Basin as a result of CBM development. The degree to which drawdown in these Powder River coalbed aquifers might influence other shallow aquifers also remains unknown, in part due to insufficient data showing connectivity between coalbeds and other shallow groundwater aquifers. CBM extraction in the San Juan, Raton, Uinta, and Piceance basins is unlikely to cause lowering of the water table in shallow aquifers due to the great vertical distance and very limited connectivity between the deep coalbeds and shallow groundwater systems. Resource management or regulatory agencies should require or continue to require collection of baseline groundwater level and quality information for domestic water wells in advance of new CBM drilling activities to protect well operators and residents. These data will give a baseline against which future water level and quality measurements can be compared. In surface impoundments containing CBM produced water, infiltration and percolation of produced water can dissolve and mobilize preexisting salts or naturally occurring constituents such as sulfate, selenium, arsenic, manganese, barium, chloride, nitrate, and total dissolved solids in soils below the impoundments. In the Powder River Basin of Wyoming where impoundments provide the primary management method for CBM produced water, groundwater monitoring showed increased levels of total dissolved solids (TDS), selenium, sulfate, chloride, and/ or nitrate downgradient of CBM produced water impoundments in approximately one third of the impoundments for which monitoring data are collected. The majority of impoundments studied had no apparent change in groundwater quality and improved water quality was documented beneath a small fraction of the impoundments. The differences among individual impoundments including (1) the substrate (soil or bedrock) on which the impoundment is constructed; (2) the volume of the impoundment and produced water entering the impoundment over time; (3) the transport path of the produced water to the impoundment (whether through a pipe or over land); (4) the length of time the water is in the impoundment; and (5) the local climate, influence how produced water may affect the groundwater beneath the impoundment. A groundwater monitoring network and the capacity to maintain and analyze results from such a network are considered important for use and management of CBM produced water impoundments that are used for more than temporary storage. Groundwater monitoring downgradient of impoundments used for disposal of CBM produced water before, during, and after water storage in the impoundments should be conducted. The data from these installations should be enhanced with (1) data on the volumes and chemistry ofwater discharged into impoundments, and (2) evaluation of the effects of impoundment infiltration or seepage on downgradient groundwater and nearby surface water. At present, little evidence exists to show that surface water has been depleted by pumping water during CBM production at the large watershed scale in the San Juan or the Powder River basins. Managed discharge of CBM produced water to ephemeral and perennial streams and rivers otherwise occurs only in the Powder River Basin (Wyoming and Montana) and the Colorado portion of the Raton Basin. However, too few data exist to evaluate positive or negative effects to increased water flows in streams and rivers in these basins as a result of these discharges. Physical effects to ephemeral or perennial streams and rivers, such as bank scouring, increased bottom sedimentation, or channel erosion due to unmanaged and/or unregulated CBM produced water discharge have occurred in the Powder River and the Raton basins. Regulatory authorities have required operators to control and discontinue practices or events contributing to these circumstances, and the committee supports all efforts to prevent unmanaged and unregulated releases of CBM produced water. Although little published evidence exists of any widespread effects of dynamic alteration in ephemeral stream channels due to regulated, controlled, and managed CBM produced water discharges, regulated (managed and controlled) releases to perennial and ephemeral streams and rivers and directly to the landscape should be accompanied by pre-release monitoring of landscape features, including stream channels. Regular monitoring of the same landscapes is necessary after releases have commenced. 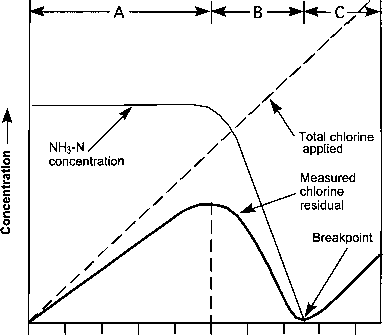 Measurements of the effects of CBM produced water discharges on the chemistry of a receiving stream can be used to regulate the discharge quantity and quality, if needed, to comply with permit requirements and predict anticipated needs for treatment, disposal, management and use of produced water. Measurements of the effects of CBM produced water discharges on receiving stream quality and quantity should be continued and rigorously used in setting regulatory requirements and permit limits by the appropriate state and federal authorities. However, actual volumes of water being produced at CBM outfalls at most sites vary as a normal function of CBM well operations; produced water volume and chemistry data at outfalls are either infrequently collected, or not readily known or reported in an easily-accessible database. In monitoring compliance, in modifying discharge allowances and permitted conditions, and in setting regulatory requirements, measurement of CBM produced water volumes and chemistry at outfalls should be collected regularly and used rigorously. Such data should be maintained and made publicly accessible as a collaborative endeavor among industry, and state and federal authorities. solids and sodium concentrations, yield equivocal results and these measurements may not be the best way to determine the influence of CBM produced water on receiving water bodies. Published research using isotope ratios of solutes in CBM produced water has shown that isotopic "fingerprints" of CBM water in receiving streams and rivers have changed as a result of CBM produced water discharge and may be more effective in monitoring and assessing CBM produced water influence on surface water and groundwater resources. An array of chemical parameters, including major, minor, and trace constituents and isotopes, should be used to evaluate the potential effects of CBM discharges on stream water quality. Use of some CBM produced water for local irrigation in the Powder River Basin appears practical given appropriate conditions including availability of produced water and use of various combinations of selective application to nondispersive soils; treatment, dilution or blending of CBM produced water with other water sources; amendment of produced water and soils to be irrigated; and appropriate timing of irrigation practices. However, application of CBM produced water to some soils in the basin has altered plant ecology and resulted in adverse soil ecological, chemical, and hydrologic consequences particularly with respect to the influence of sodium in CBM produced water on soils and plants. In circumstances where CBM produced water is applied to soils, and also after use of CBM produced water ceases, additional soil management may be required to restore agricultural soil resources and impoundment sites to conditions that existed prior to CBM produced water application. The degree of soil management required with application of CBM produced water is dependent on a number of factors—variable to the site and circumstances. The two most significant factors are the soil type and the quality of the CBM produced water, especially with respect to the sodium content. Considering that irrigation with CBM produced water containing relatively low total dissolved solids and constituent concentrations (such as the water sourced from the Powder River Basin and the Colorado portion of the Raton Basin) continues to be a contentious and challenging issue, CBM water sourced from some of the other western basins is unlikely to be suitable for irrigation without significant treatment. A number of controlled laboratory and modeling efforts have been published that examined the potential effects of CBM produced water on some aquatic organisms. Laboratory studies indicate that exposure to elevated concentrations of total dissolved solids, bicarbonate, potassium, magnesium, chloride, and/or sulfate constituents that may occur in CBM produced water can be toxic to some freshwater organisms. Most laboratory comparisons are based on mean concentrations of discharges of CBM produced waters and on direct and prolonged exposure of conventional laboratory test species to undiluted, untreated CBM produced water or its constituents. To date, widespread adverse effects on indigenous organisms and vegetation as a result of changes in surface water chemistry due to CBM produced water discharges in the field have not been widely studied or demonstrated. A few field tests conducted in the Powder River Basin showed mortality to some species when levels of bicarbonate exceeded the thresholds established in laboratory tests, while two other field studies noted difficulty in identifying any direct effects of CBM discharges on fish assemblages. Studies to evaluate the extent and persistence of changes in water chemistry and ecological effects on indigenous species and hydrological systems in the field, including perennial riparian vegetation, stream hydrological function, stream channel geomorphology, macro-invertebrates, nutrient loading, and fisheries, should be conducted. The results should be used as input to review and enhance, as needed, CBM produced water management, treatment, and disposal requirements. At the federal level, the requirements associated with leasing and permitting CBM operations on federally managed public lands through the BLM and the protection of water resources under the jurisdiction of the Environmental Protection Agency (EPA) are relatively broad but clear. State regulations regarding treatment and management of CBM produced water differ among the states examined in this study, as do the degrees to which the states have been delegated primacy by federal agencies for permitting and regulating management of CBM produced water. Recognizing the jurisdiction of Indian tribes in regulating CBM development and in CBM produced water management is also important. Surface water discharges of produced water on federal, state, tribal, and private lands is typically managed by state or tribal primacy programs under the Clean Water Act, while discharges to the subsurface environment, including deep-well reinjection and subsurface drip irrigation, are typically managed under the Safe Drinking Water Act by state or tribal primacy programs. presently driven by the economics of disposal and treatment costs and regulations rather than consideration of its possible beneficial use. Given that produced water can be treated to any water quality with current technologies, but at varying costs, future regulation of CBM produced water management should consider the age of the CBM produced water. Careful management of non-renewable "fossil" water should be considered a priority. Management of a water resource that is indeed irreplaceable may benefit from considering opportunities to put it to best use or to store it in aquifers for future use, rather than to dispose of it. Current regulations and water law do not provide incentives to CBM operating companies (or other stakeholders) to put produced water to beneficial use or offer many options to consider other than to dispose of nonrenewable CBM produced water. Although a number of recent court reviews of CBM production activities do signal some recognition of the fact that water resources naturally traverse state, legal, and geological boundaries, these reviews have not provided clarification about effective produced water management and instead exemplify state-specific approaches. The coupled demands for domestic energy and clean water resources require the environmentally and economically sound management of produced water from CBM activities. The most important aspect of this issue is the science surrounding the use or disposal of CBM produced water. Multiple potential users and uses of limited water resources, a concern by the public for protection of these limited resources, the complexities of hy-drogeological systems, and the renewability or nonrenewability of water resources require increasingly sophisticated approaches to understanding CBM produced water and produced water management. These approaches require a basis in scientifically grounded studies and consistent monitoring, and should allow for a greater range of economically and environmentally viable options for CBM produced water management in the future.